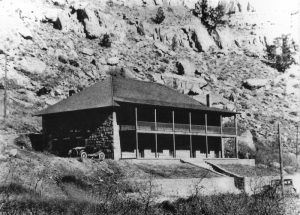 Located about seven miles west of Helper is the old townsite of Latuda. 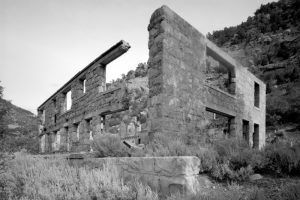 The settlement began when Francisco Latuda and Charles Picco, both of Trinidad, Colorado, bought approximately 326 acres of coal lands on August 1, 1917, and began development of the Liberty Mine and formed the Liberty Fuel Company. The first shipment of coal was sent from a temporary tipple in January 1918. 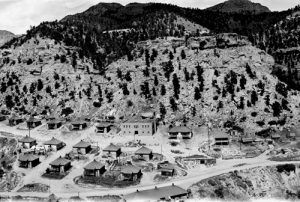 Initially, the settlement that grew up around the mine was comprised of only a few houses, with the rest of the town made up of tents. However, new structures began to replace the tents in 1918 and the camp was known as Liberty. When a post office was built, the name was changed to Latuda, in honor of the mine owner. 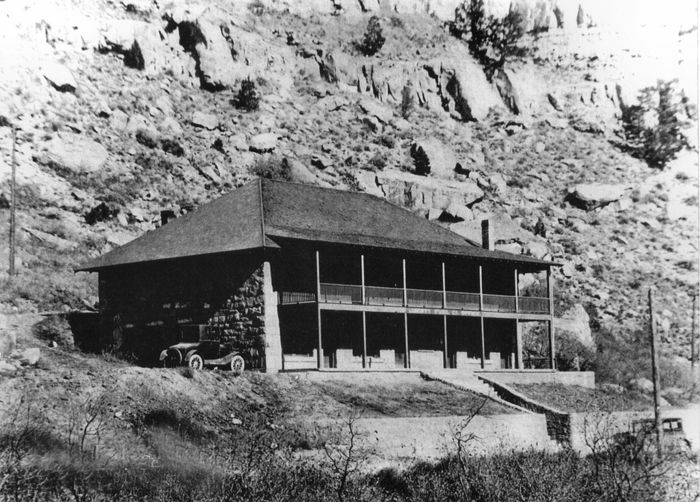 In 1920, a mine office was built of stone, which also housed a hotel for visiting executives on its top floor, as well as a doctor’s office. A school building was constructed in 1921, which was also used for meetings and social functions. Additional homes were built to house the miners in 1922. Coal production increased steadily as the company continued to make improvements and in 1926, was one of the first mines to utilize mechanical loading inside the mine. One of the town’s earliest problems was with water, which had to be hauled in from Helper, before a small spring was tapped from some distance, and piped into the town. Another problem for the “city” was snow slides. Surrounded by mountains at an elevation of some 6,700 feet, Latuda was subject to snow slides, two of which occurred on February 16, 1927, killing two miners and burying a row of houses a nearly a mile of railroad track. In 1928 the Liberty Fuel Company built a new “modern” four-track steel tipple, which increased capacity to 1,500 tons per day. By the mid-1940s production had begun to fall, reduced to just about 1,000 tons per day and by 1954, the company had shut down much of its operation. Liberty Fuel Company Mine Office in Latuda, Utah after the town shut down. In 1966, the mine was closed permanently, and the entrance blasted shut. The population in the town peaked at about 400 people, but by 1967 no one was left.